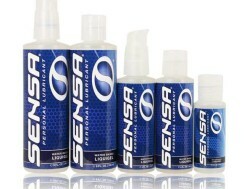 SENSA® Liquigel is a premium water based lubricant that is non-sticky, non-staining and provides the ultimate in lubrication. 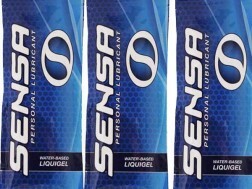 SENSA® personal lubricants are specially formulated for long lasting pleasure whether alone or with that special someone. Since 1994 SENSA® Personal Lubricants has been helping couples and individuals across the globe achieve intimate sensations they never knew were achievable. With a product line that includes our water based SENSA® Liquigel and our silicone based SENSA® Bodyglide, SENSA® Personal Lubricants has a lube that will fit your needs. Experience more, experience the sensation of SENSA® Personal Lubricants. Available online and at select retailers.